This is the ultimate Hollywood hike experience with the top-rated outdoor tour company in Los Angeles! This 1.5 hour early morning adventure will get your blood pumping under the sun, which is a great cure for jet lag. This is a great hike if you are an early riser and want to burn some calories and take in the city with an expert. 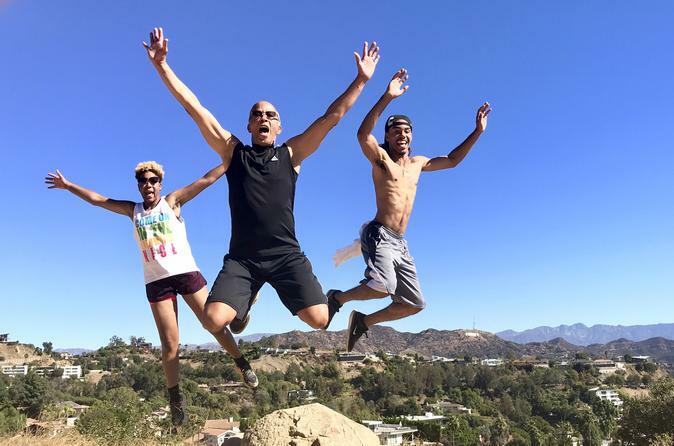 Hiking is a way of life for us and this will be your favorite hike in LA. We will meet just off Hollywood Boulevard near the Walk of Fame and start by visiting the Wattles Mansion/Gardens and a secret Buddhist garden. Then, we’ll start our 25 minute climb thru a hidden trail to the summit. Along the way, we'll point out some celebrity homes, give you history on Los Angeles and take candid photos. If you happen to be suffering from jet lag, this will be an immediate cure! Sunshine and exercise are key to beating jet lag and we’ll get plenty of both. After summiting, we will speed walk the rest of the way and stop for photos with the Hollywood Sign and get epic panoramic photos of the city below. The entire experience will take about 1.5 hours. Afterwards, you can grab breakfast and check out the Walk of Fame as we’ll be right next to it. The Hollywood sign will be visible and you will be able to get good photos of it.